Confession time: many serious fashion fans who spend a lot of time and money projecting a carefully-curated version of themselves in public, generally don’t extend the same care to their own homes. It’s a simple matter of priorities—and one this author remembers all too well—splashing a month’s worth of rent on shorts, or forgoing meals not to fit into a pair of skinny jeans, but rather to afford them. This idea of sacrificing everything else in pursuit of fashion can lead to one’s home becoming an ugly shrine to beautiful clothes, verging on the classic otaku room and not what would be expected from their owner’s immaculate appearance. I know of one young collector—who will remain anonymous—who’s eschewed curtains altogether, rather blocking out the sun with his endless racks of clothes. If you’re interested in reading more, Kyoichi Tsuzuki’s Happy Victims documents these fashion obsessives marvelously. This phenomenon is particularly prevalent among younger acolytes with limited means. It’s also worth bearing in mind, before condemning someone well-dressed as decadent, that they probably sacrificed something serious to be able to afford it. 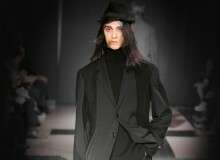 After all, one person’s PlayStation is another’s Yohji Yamamoto suit. The balance comes when dedicated followers of fashion get older, because they tend to accumulate well-loved clothes that don’t need replacing if well-made. I have leather jackets that are going strong after a decade, and I don’t doubt that my accessories will outlive me. It all builds to an odd situation in which, when you have the means to indulge in fashion, you already have everything you could need. Maybe you replace a blazer as one starts to look a bit tired, or else indulge in a real showpiece once a season; but the focus largely shifts from acquiring fashion to actually appreciating it. A large part of that appreciation is framing your fashion in a home that echoes the aesthetic of your chosen style. Some choose to build concrete bunkers in homage to the industrial brutalism of Julius, others prefer lacy havens dedicated to “angelic pretty.” It’s all a reflection that, after the hunger of consumption has been satisfied, there’s a genuine engagement with aesthetics. People may want to debate whether fashion is art, but as the museum-like homes of lifelong fashion fans show, there are definitely those who treat it as such. 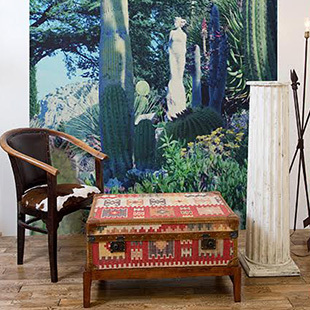 The Fake Furniture boutique covers everything from the kitchen through the bedroom, bringing together an eclectic mix of designers and vintage items to satisfy those who might shop at Fake Tokyo—and those on the periphery. Whether cutlery by Diesel or Keith Haring chairs, you’re well-catered for if you want to add a splash of fashion to your home. Helping those wanting to build a home fit for their fashion is the new venture Fake Furniture, from iconic boutique Fake Tokyo. 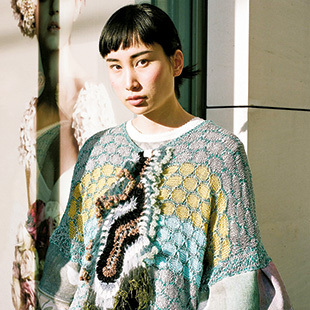 Fake Tokyo and the institutions under its umbrella, Candy & Sister, were largely responsible for the brief boom in avant-garde street fashion in the early 2010s, when they moved to a mainstream location off Shibuya’s Center-Gai from their previously off-the-radar spot. 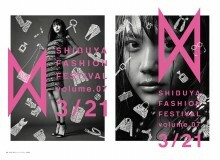 Now, not unlike the aging fashion fan, they’ve graduated to thinking about the lifestyle that accompanies the fashion. 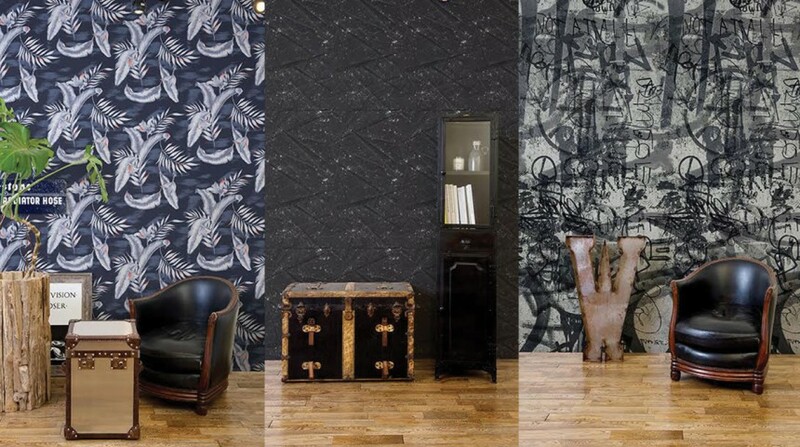 Their most recent endeavor is with The Wallpaper Tokyo, a series of wallpaper collaborations with 10 top Tokyo designers including Masanori Morikawa’s edgy Christian Dada, the refined feminine G.V.G.V., and the outright rebellious Bodysong. The wallpaper is available by the meter or by the roll, so if you want to build a complete shrine to your designer of choice, now is your chance.